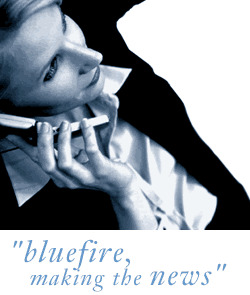 Bluefire Consulting | Multimedia / Web Developer : "multimedia development skills " "creative flash developer " "Adobe Creative Suite "
Experienced web developer with strong multimedia development skills required for an expanding, multi disciplined company based on the outskirts of Leeds. This role is joining an existing team for a software development company that provides services for both internal group company websites, along with external client websites. You should be an experienced, creative flash developer with strong multimedia skills and detailed knowledge of the Adobe Creative Suite and we would be looking for a good amount of commercial experience on top of any academic background. This is an expanding, stable business that offers a forward thinking and enjoyable working environment. On site facilities include a free gym with personal training facilities along with secure, free staff car parking. Please ensure that link to portfolio and examples of your work are enclosed with any application. "multimedia development skills " "creative flash developer " "Adobe Creative Suite "